Hi everyone! I hope you all are enjoying the great summer we've been having. Before you know it fall will be here so I intend to spend all the time I can outside. This past weekend I had a few friends over for an impromptu casual get-together ... you never need a reason to BBQ right! At first we were going to go out to eat. Since the weather was so nice we decided to stay home and enjoy the outdoors. We all had such a great time. I want to share with you a great recipe one of my friends made. It's quick, super easy and you only need a few ingredients....Spicy Cilantro Lime Corn. I also want to share with you what I made as the entree. Well to be fair I didn't actually "make" it, I basically just heated it up. 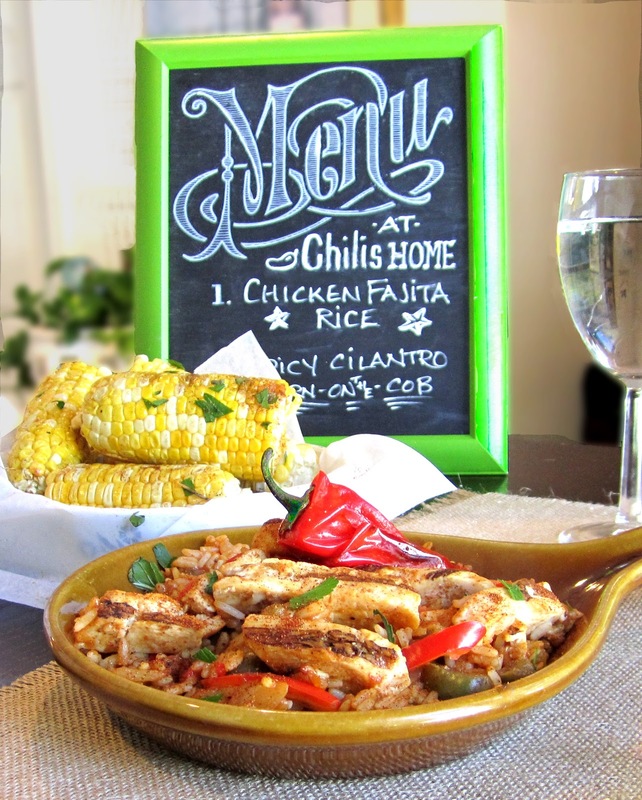 It turns out that Chili's® restaurant now makes frozen entrees you can have at home. You're not going to believe how good these are. Just throw 'em in a skillet and heat. 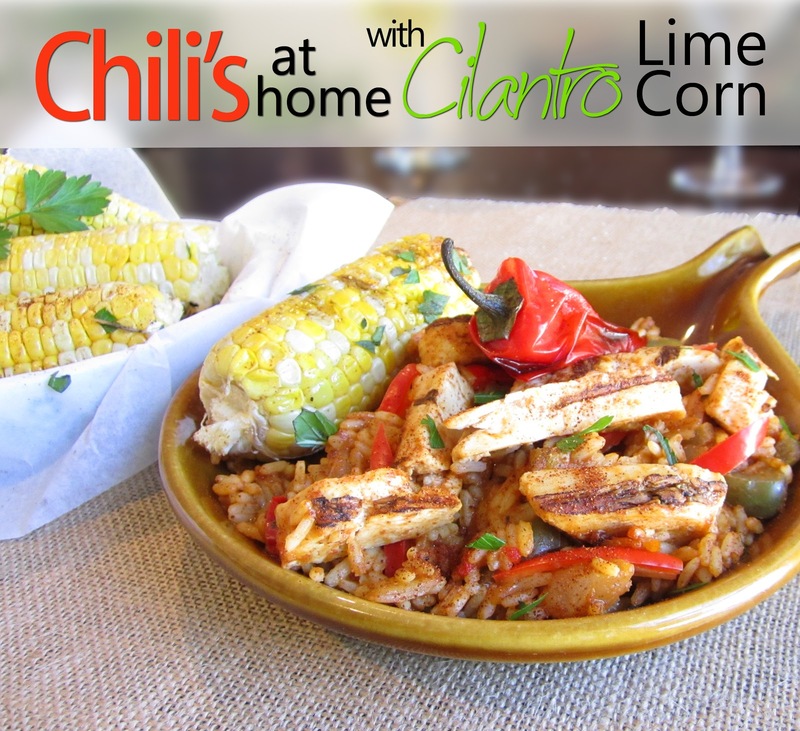 Keep reading and I'll show you how easy these are to make...did I mention Chili's® has COUPONS for these on their website! Preheat grill to medium high. Peel back husks and remove silk. Leave on husks pulled back for easy handles while turning corn. Brush grates lightly with olive oil. Grill corn, turning occasionally, 15 minutes until lightly charred. While corn is cooking melt butter on low power in microwave. 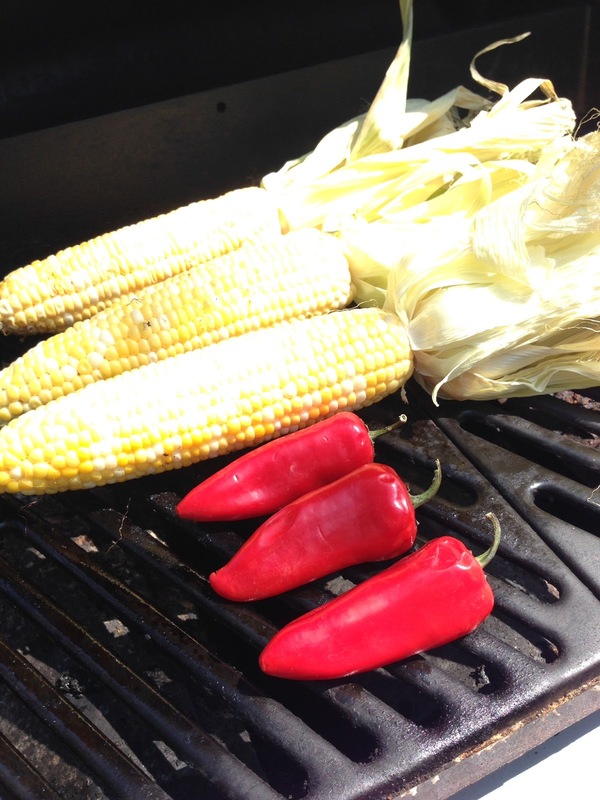 Remove corn from grill and cut in half. Brush on butter. Sprinkle each piece with chili powder, cilantro, salt and pepper. 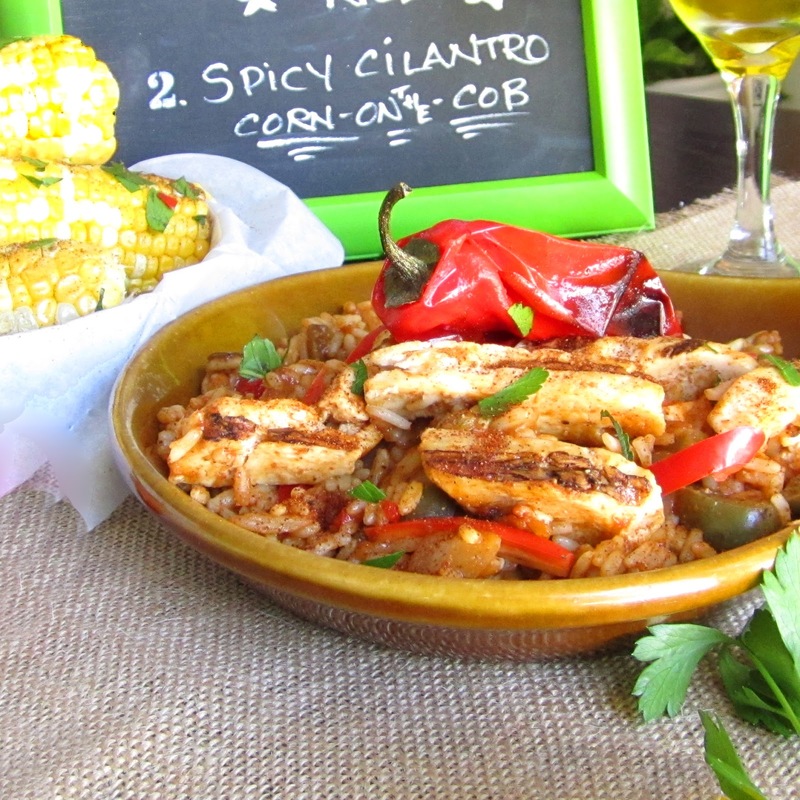 Using a microplane grate lime over corn pieces and serve. For the entree I decided to try out Chili's at home.To my surprise it really did deliver the 'Big Bold taste' that it promised. It was spicy, had great flavor and was hot, but not over the top hot, just right. Ok, let me show you how easy this was to actually make. 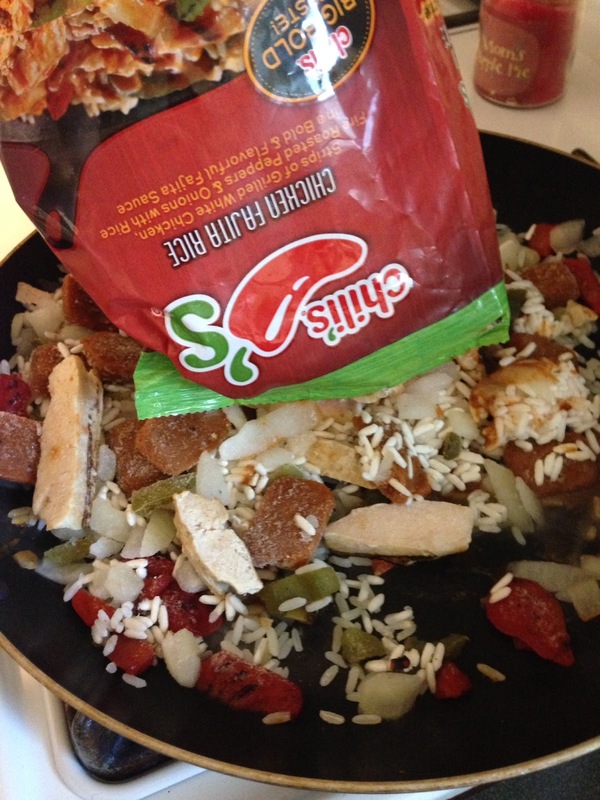 First you literally just empty the bag right into cold skillet. Turn it up to high heat for four minutes. Then, cover and simmer for about 10 minutes more. Chili's right in your own home. Has anyone tried Chili's at home yet? 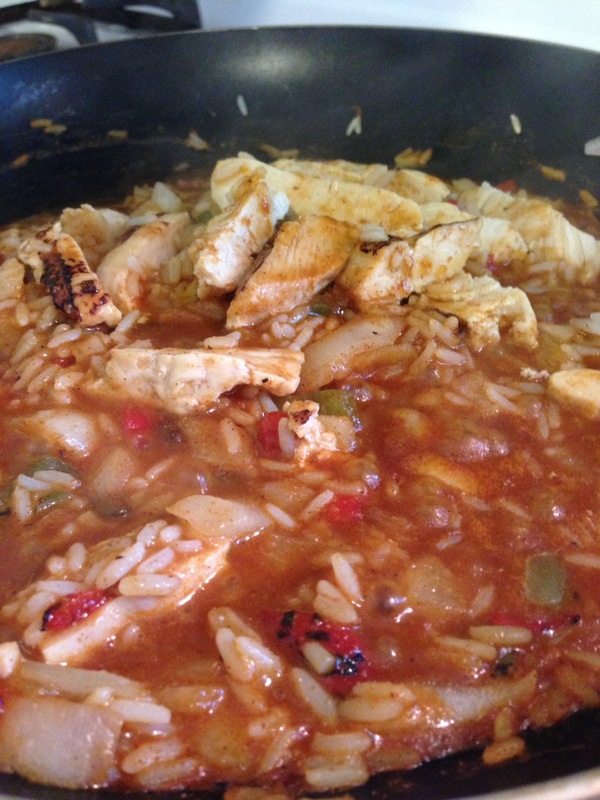 your own comments or recipes. Thanks to Bellisio for sponsoring this post. All opinions reflected are completely my own.